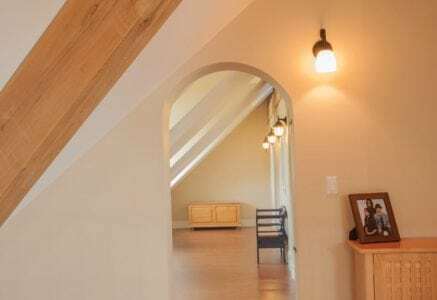 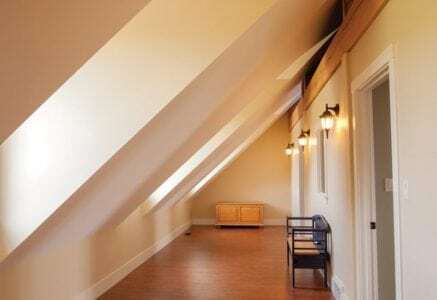 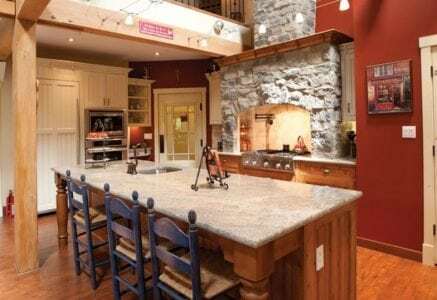 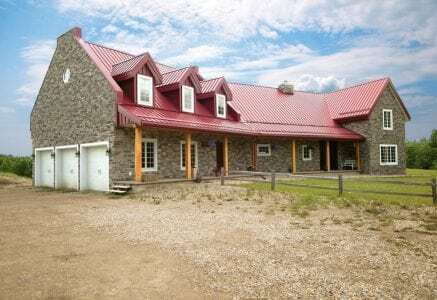 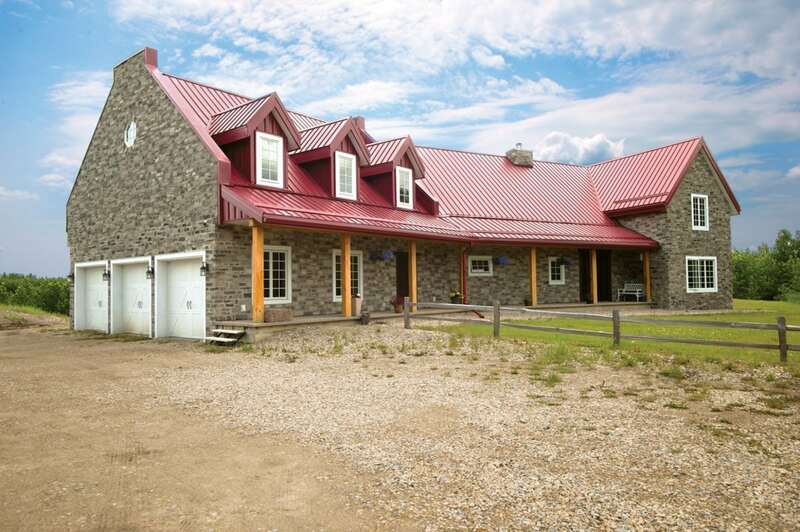 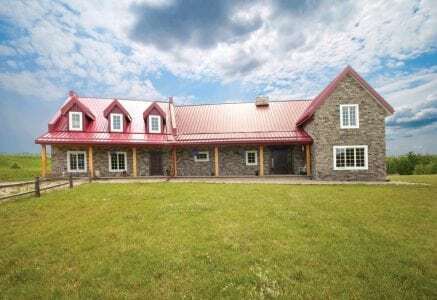 This Calgary residence combines its owners’ desire for a home that resembles traditional farmhomes of Quebec with their need for energy efficiency. 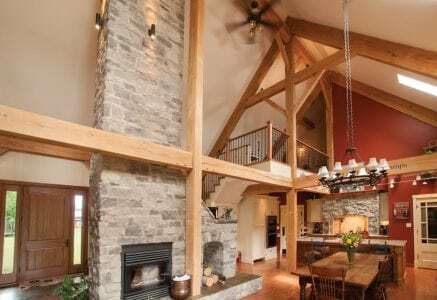 Simple rooflines and dormer windows create the silhouette of a farmhouse while colonial-style windows, stone, lantern light fixtures, and barn-style garage doors add to the home’s country ambiance. 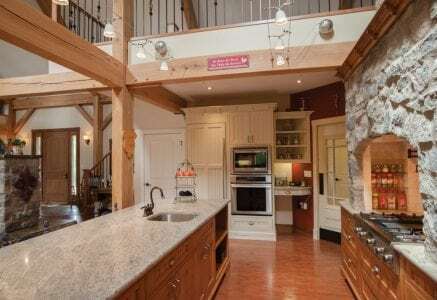 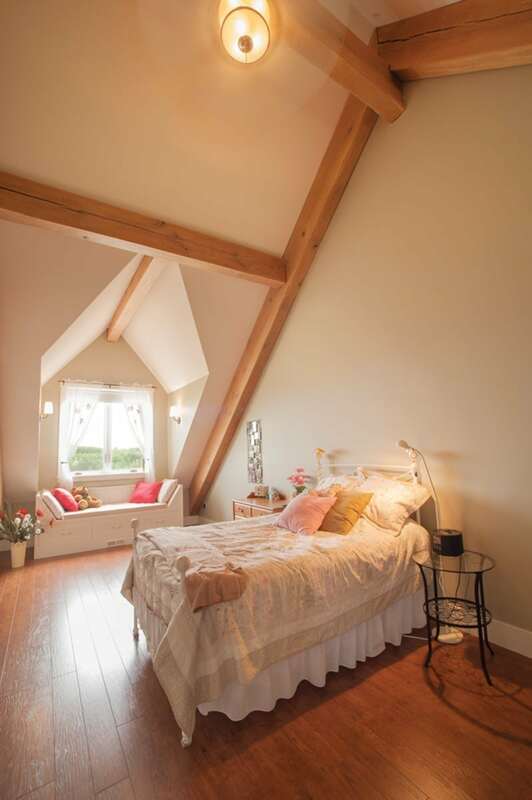 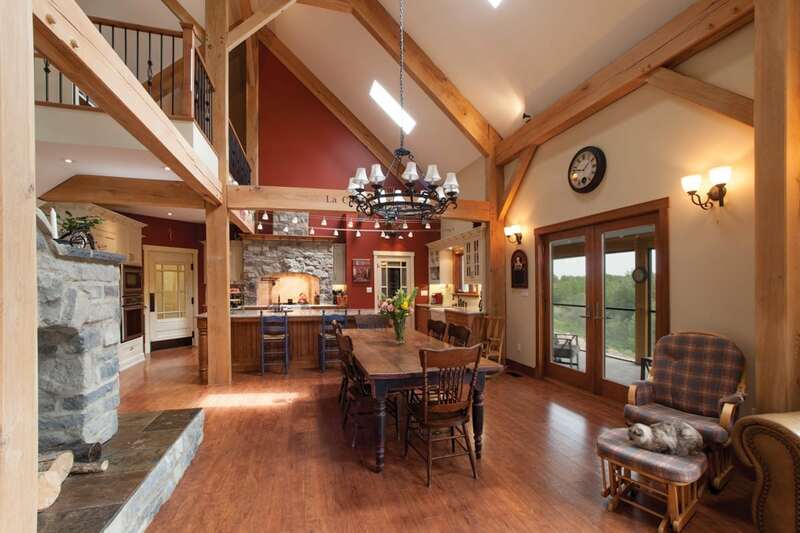 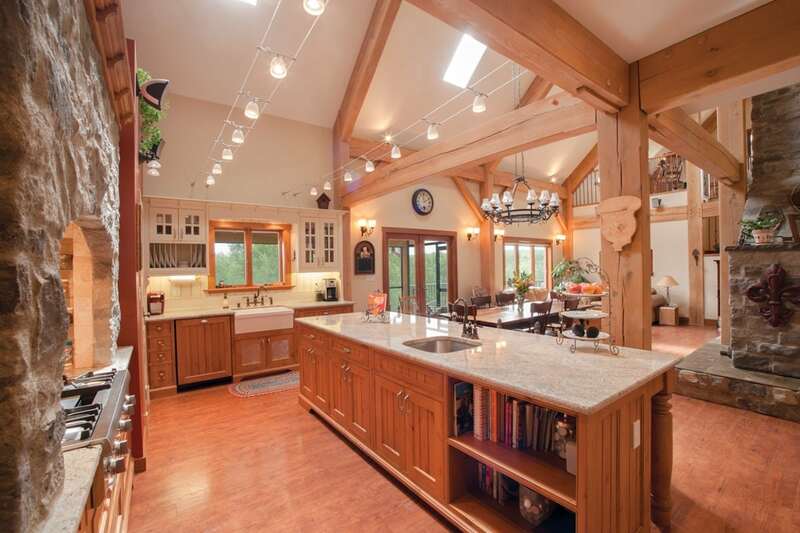 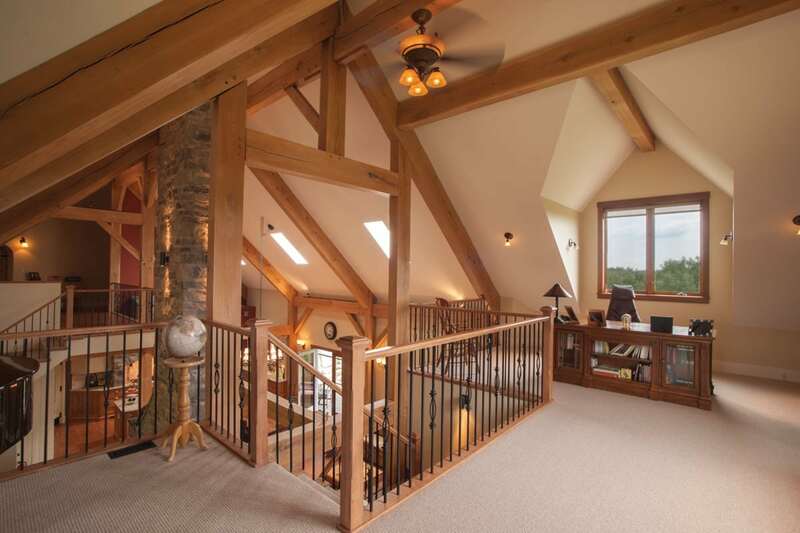 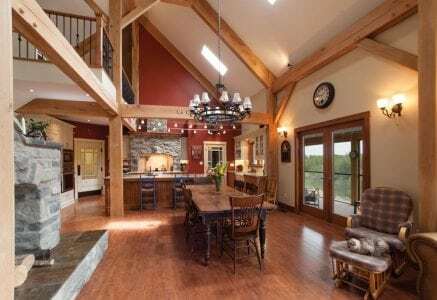 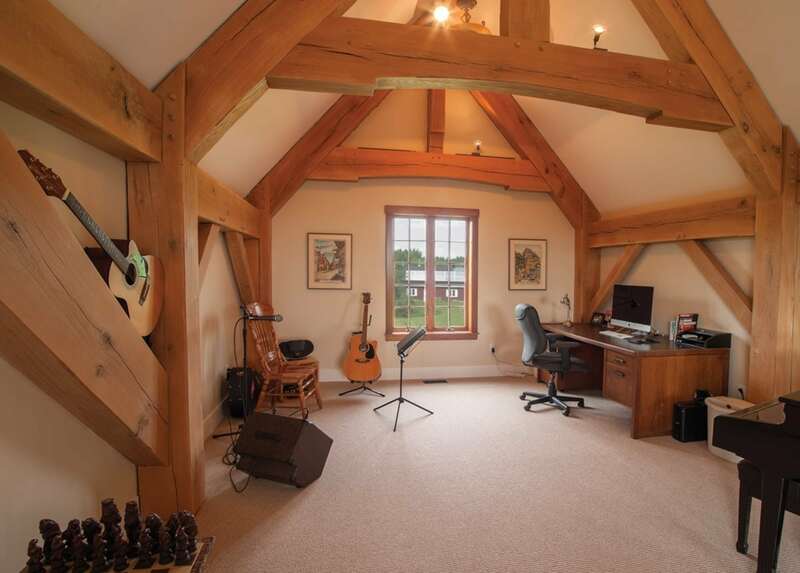 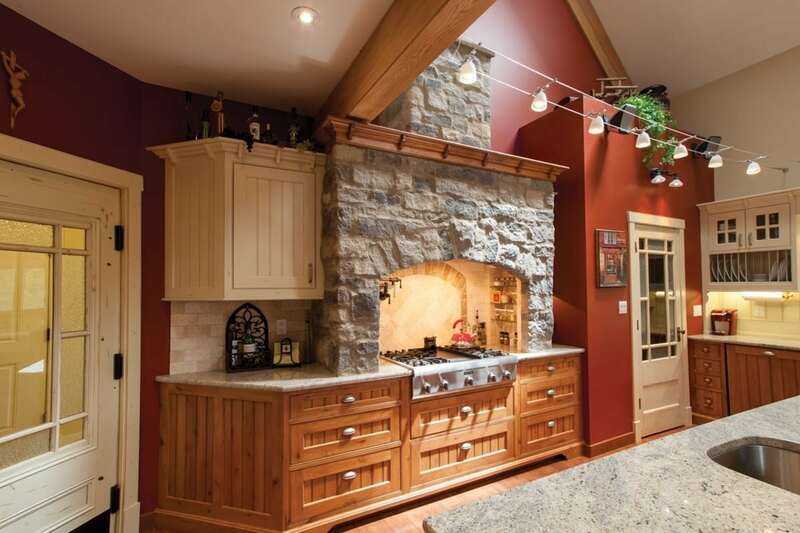 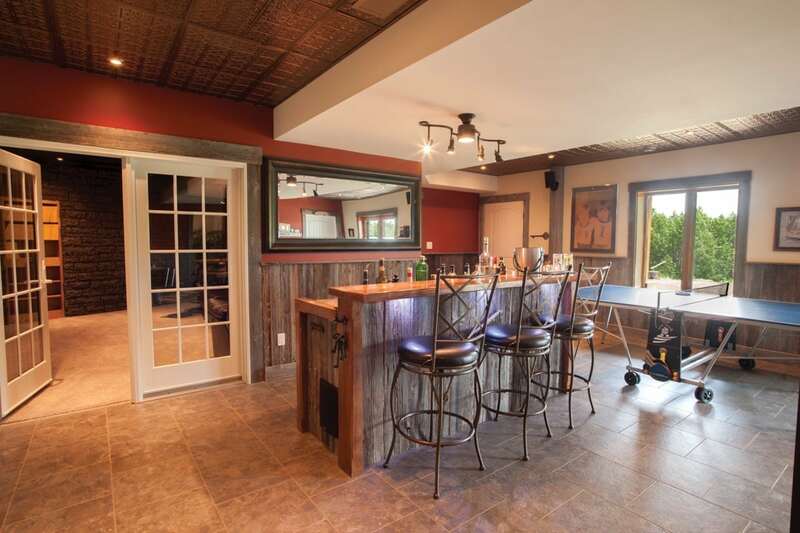 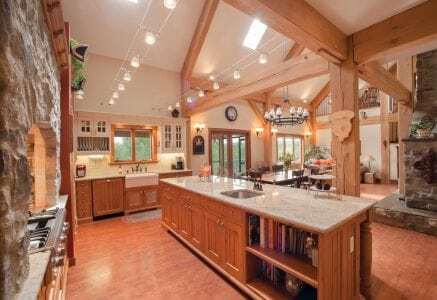 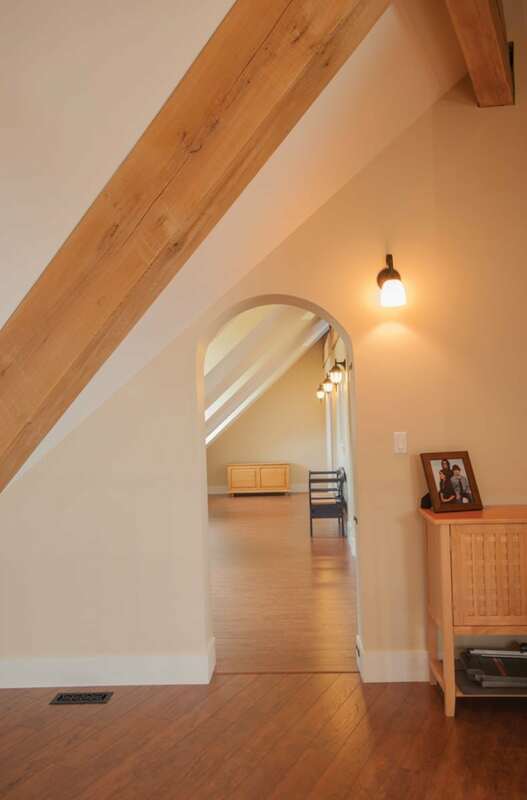 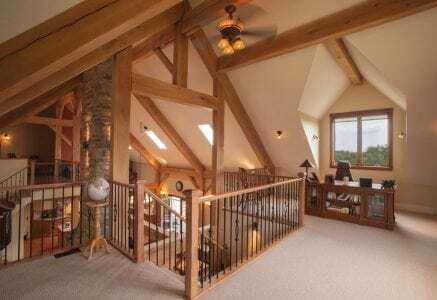 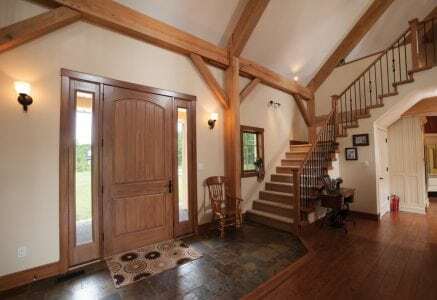 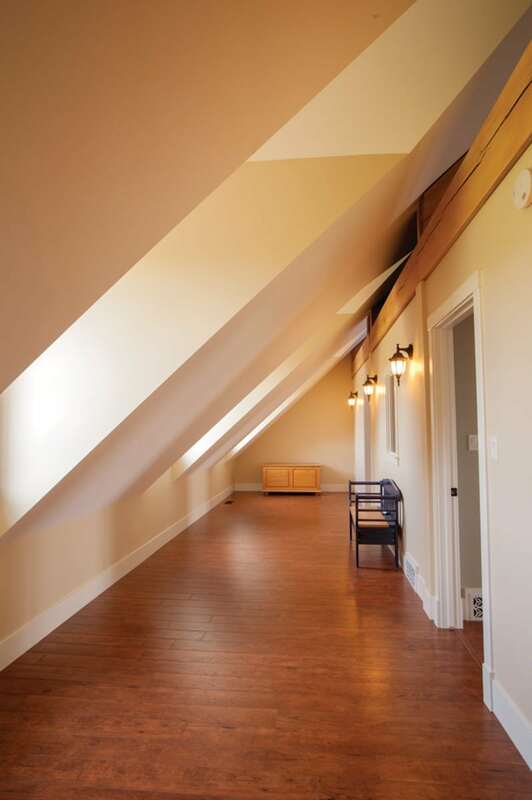 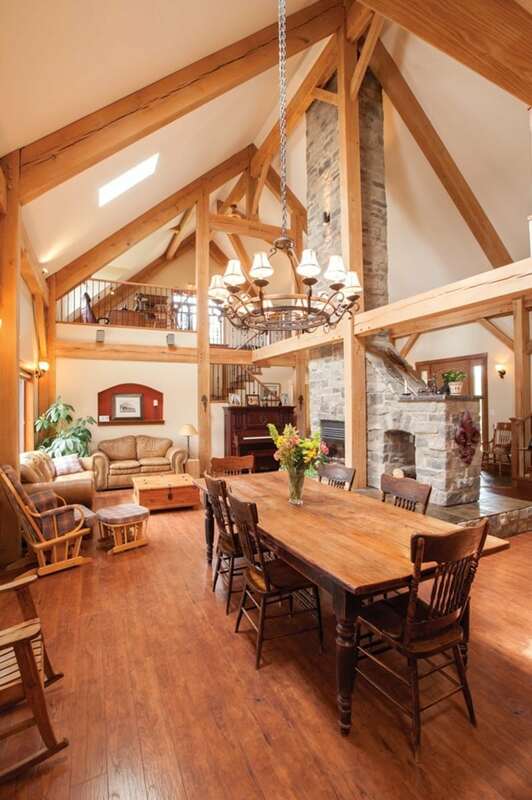 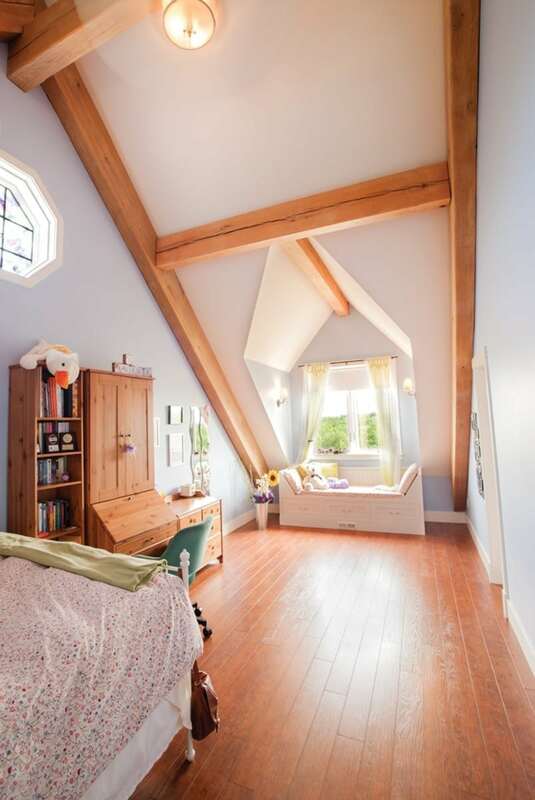 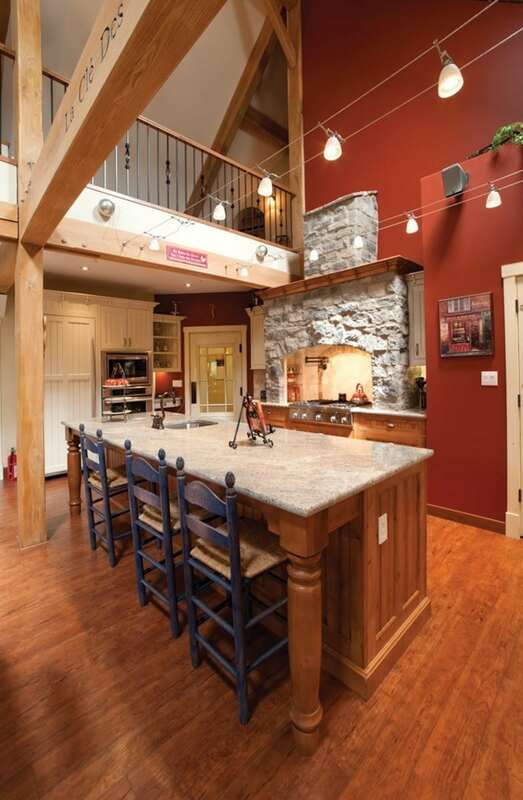 Beautiful timber framing spans from the kitchen to the dining room and through the vaulted living room. 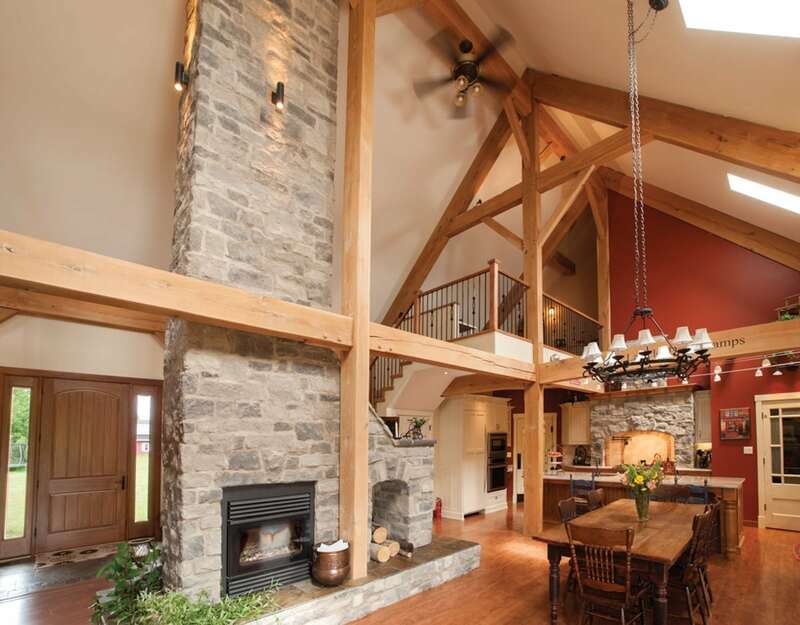 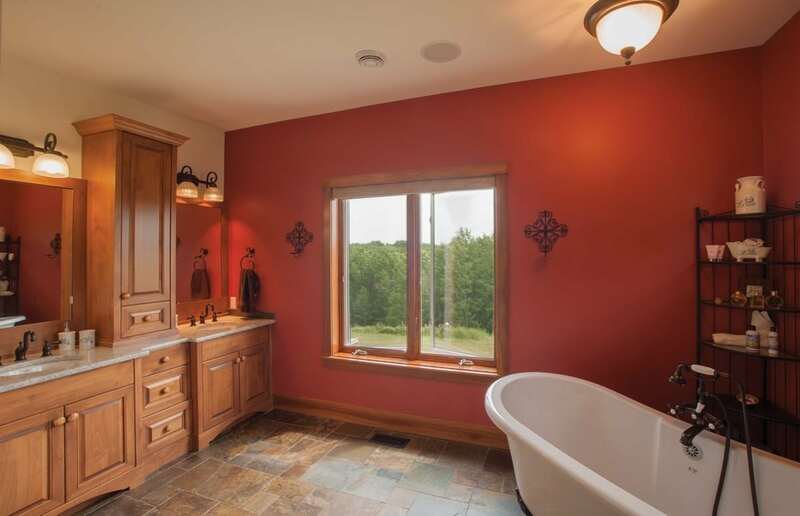 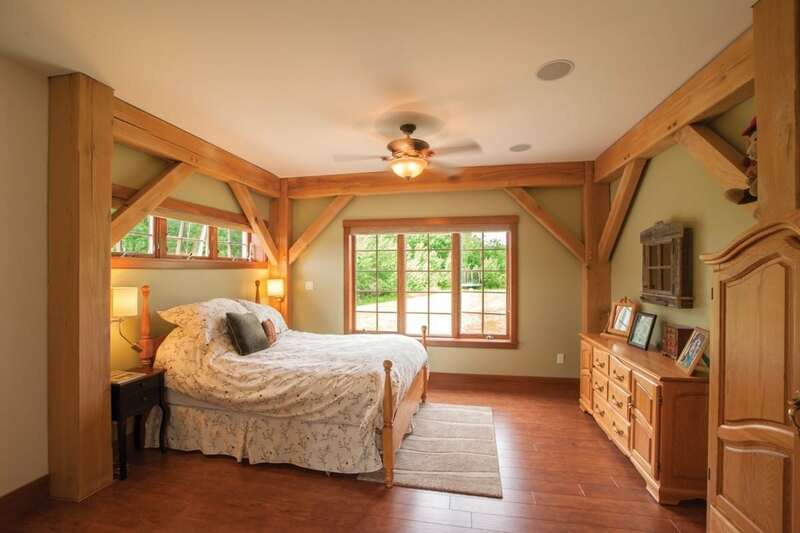 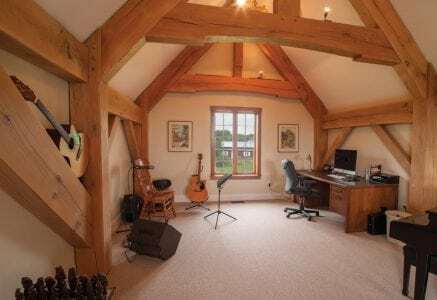 The style of the timber framing accentuates the farmhouse look of the home. 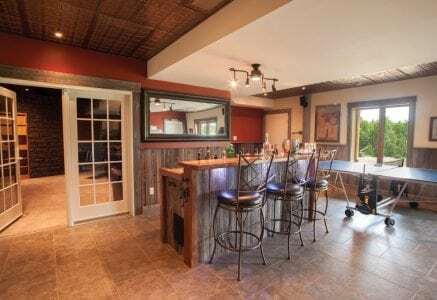 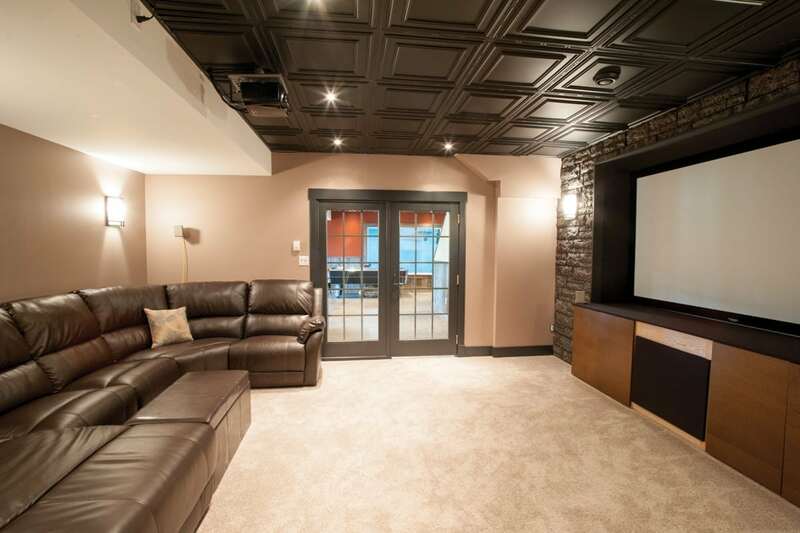 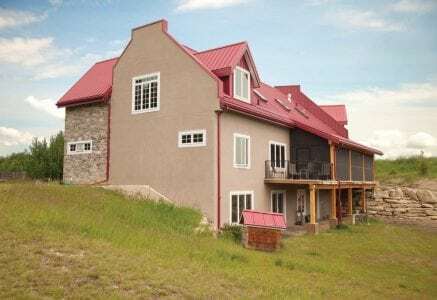 The home has garnered an efficiency rating of 86 from EnerGuide, Canada’s national rating system, in large part due to the Riverbend Building System that includes structural insulated panels (SIPs) and insulated concrete forms (ICFs). 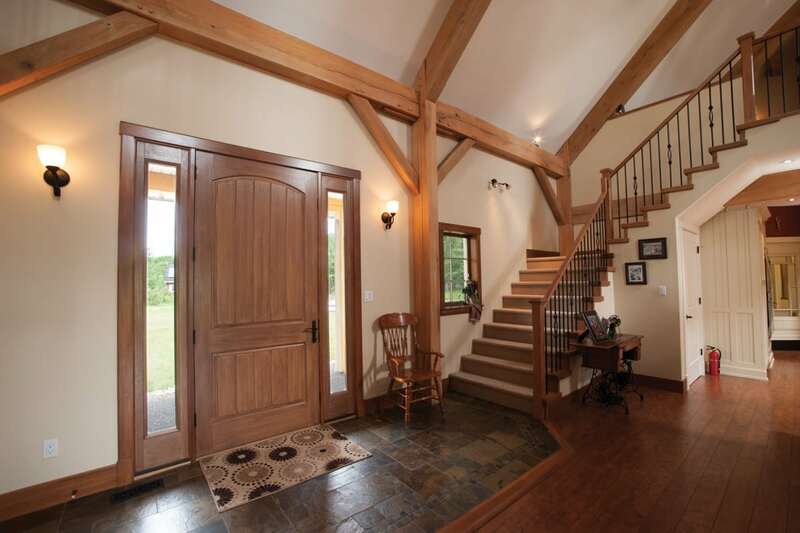 For those unfamiliar with EnerGuide, a score of 90 indicates a home is net zero.